Clay Fighter (Sega Genesis, 1994) - Game Cartridge - TESTED - ClayFighter - !!! Clayfighter Clay Fighter Sega Genesis Original Authentic Video Game! 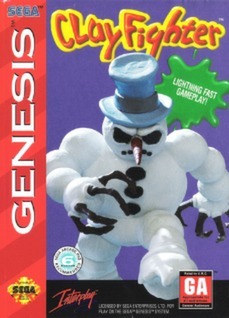 Clayfighter Clay Fighter *Authentic* Sega Genesis Game Super FREE SHIP!